If there’s one thing that hasn’t changed in the 60+ years since the release of them Them! – the 1954 horror movie about giant, radioactive ants – it’s the heebie-jeebies we get from these insects. And they’re everywhere! You can’t spill a drop of soda without finding a horde of them a couple hours later, feasting on that sweetness. They get in our cupboards, in our laundry and even in our pet’s food (there’s nothing quite as sad as listening to little Whiskers meow at the ants in her kibble). But domestic and commercial settings are just the tip of the iceberg of places that ants like to populate. They can be found at nearly every solid longitude, latitude, altitude and environment… uh, dude. They’re highly adaptable to extreme weather conditions, but like humans, seem to really dig the weather in San Diego, Orange County and Riverside County. If you find ants inside your home or workplace, good chances they’re going to be one of these guys. The Argentine are very small – just a sixteenth of an inch – and vary in color from light to dark brown. They’re an invasive species, having arrived in South American coffee ships in the late 19th century. Like all effective conquerors, the Argentine ants were/are highly organized and it didn’t take long for them to displace local ant dynasty, the Odorous house ants. 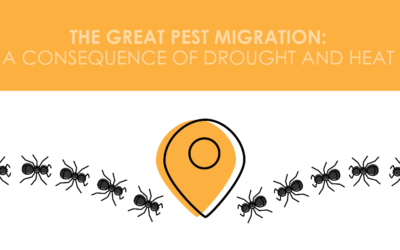 These’re attracted to moisture sources like potted plants, dripping sinks, bathrooms, and irrigation system (not to mention crawling over your feet when you’re reading online articles on ants). They also a have an appetite similar a six-year-old: if it’s sweet, they’ll like it. This includes honey, syrup, sugar, and occasionally meat. Argentine ants do not bite or sting. 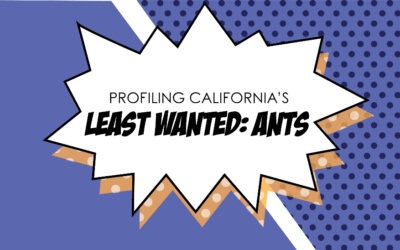 There’s a reason these ants don’t have a gentile name like Super Cool Soothing Ants – the California Fire ant bites! The pain from a Fire ant bite can be pretty nasty, sometimes more painful than a bee sting. The good news is that they’re nowhere near as prominent as the Argentine ant, and live mostly in small, inland colonies. They also don’t reproduce with the ferocity of the Argentine ant. The bad news is that a distant cousin, the Red Imported Fire ant has recently moved into locations near Southern California – and these jerks have a much more painful bite than the regular Fire ants. In fact, in Texas, public playgrounds have been closed due to being overrun by the Red Imported Fire ant. Those “Only ’90s Kids Will Remember This…” articles can be applied to bugs too, because any kid growing up in Southern California during the ’70s and ’80s would be able to recognize the Odorous house ant. Named for the gross, rotten smell they released when squashed, this species was prominent in the area until the Argentine ants displaced them. They are a little larger than the Argentines – which did little to help them against their Napoleonic-statured adversaries. The fact that they do not bite or sting may also explain their displacement. Survival of the fittest, Bro-dorouses. 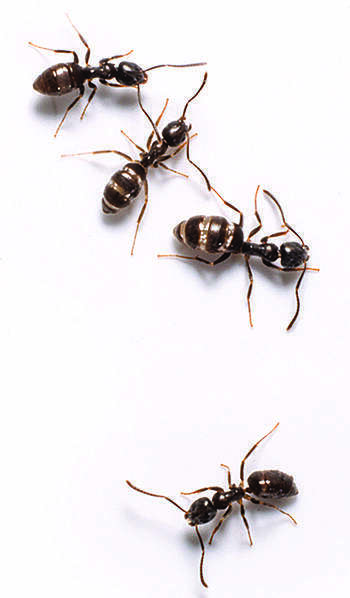 At Lloyd Pest Control, we begin ant service by treating the exterior perimeter of a structure with Termidor, a minimally invasive product that is made of fipronil (the same active ingredient used in Frontline on-pet topical treatments). On the inside, we treat all infested areas using dust formulations placed inside wall voids to keep ants from entering. We remove outlet and switch plate covers to employ a special “duster” to place our products inside the walls so that it’s removed from the general living space, as well as away from children and pets. Despite their title and occupation, you would never hire these guys to remodel your house, but they might do it anyway. Carpenter ants are wood-destroying organisms, much like termites and some beetles. They have the destructive habit of entering wooden beams, carving out enclaves, and causing serious structural damage. They can grow to up to lengths of a half-inch or more. Indications of their presence can include tiny piles of sawdust left behind, as well as a faint sound of rustling behind the walls. Talk about nightmare fodder. 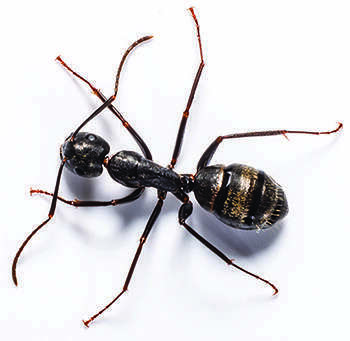 In terms of pest management, carpenter ants fall in a different classification than the rest of the ant family, and treatment can be difficult. A licensed termite inspector is the best person for the job. Once they’ve inspected and determined the presence of Carpenters infesting the home, the licensed inspector can make recommendation for localized treatments depending on the nature and location of the infestation. Ants don't follow each other; they follow a scented path known as a pheromone trail. If you spray the trail with Windex or any glass cleaner that contains ammonia, the scent will be destroyed.